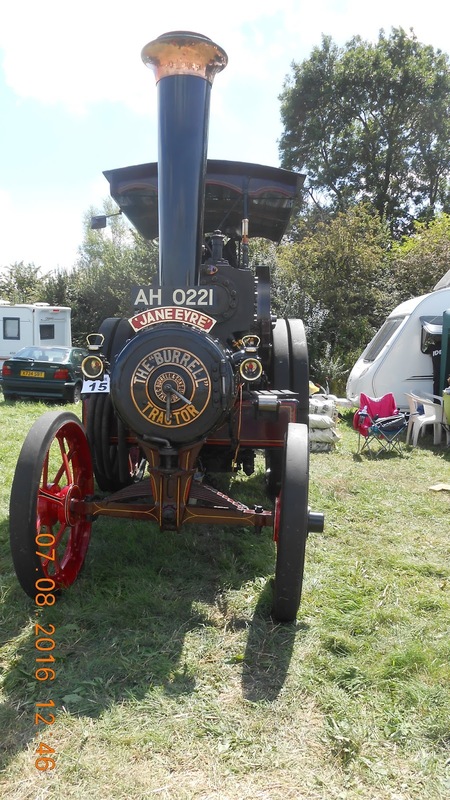 ...but I never expected to come across her at a steam rally! As a romance write, I loved Jane Ayre of course, but I was quite surprised to come across her name at a local steam rally. 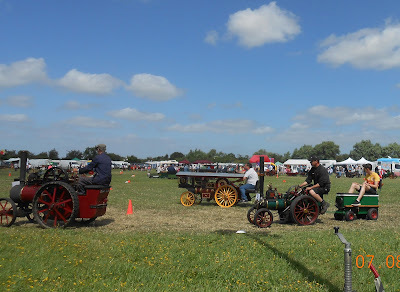 There was a large variety of steam engines at this particular show, as well as tractors, vintage cars and heavy horses. Some of the engines were even scaled down miniatures - perfect replicas of the full sized versions. Getting back to Jane Eyre - we love our strong heroines, and Charlotte Bronte's Jane was certainly a strong character. The steam version proved her physical strength by winching another traction engine, twice her size, across the arena. The larger engine isn't reversing, it's actually being pulled across by little Jane Eyre! 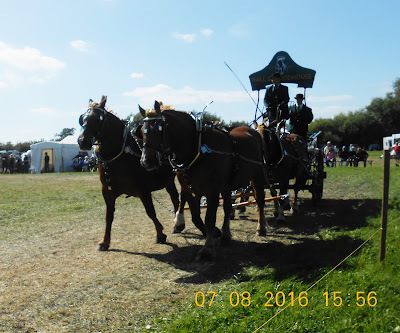 As well as the magnificent steam engines and vintage farm vehicles there was also a display of beautiful heavy horses, Shires, Percherons (the greys) and the lovely chestnut Suffolk Punches, my favourites. 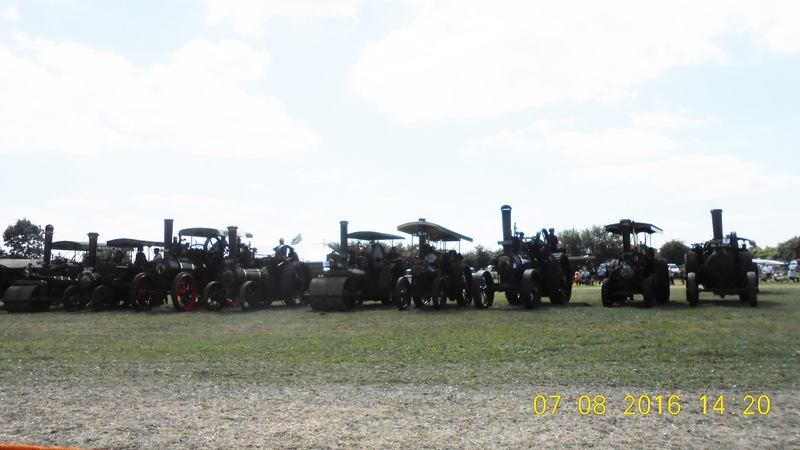 I hope you enjoy these photos and videos bringing back images of a bygone era. 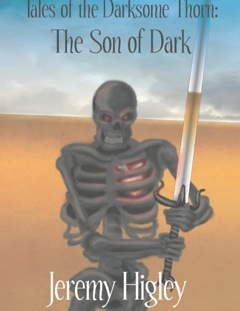 When writing a “swords and sorcery” style fantasy like The Son of Dark, it is very easy to let the sorcery overpower the swords. I’ve noticed this trend in so many fantasies, and it isn’t necessarily a bad thing. For my book, though, I wanted a more even playing field. I wanted magic to be ever present, certainly, but when fight scenes came I didn’t want my non-magical characters to be deadweight. To make this work, I had to do two things. First I had to build my magic system with weaknesses that sword-users could take advantage of. Second, I had to write non-magical characters who could still hold their own in a world full of magic. In many ways the magic system for The Son of Dark is very traditional. For wizards, magic is performed through a language of power, and the strength of the spell comes from the energy of the wizard’s soul. This has its obvious disadvantages when fighting. It takes time to explain to the elements around you that you want them to do something, and whether your spell is offensive or defensive, time is something a swordsman isn’t going to give you. The very versatility of language becomes a drawback. There are a hundred things a wizard might say in response to a sword thrust. While all the possibilities are crossing the wizard’s mind, his practiced opponent doesn’t need to think deeply in order to deliver a killing blow with a sword. Further, the wizard can’t influence the swordsman directly with his magic. The magic still has its bite, though. Wizards can call swords to them or turn them against their opponents, turn sand to glass and throw shards of it in all directions, or conjure flesh onto dead bones to create terrifying allies. Dragons can possess humans, or create a magical kind of fire that ignores flesh and cloth and burns the very blood inside your veins. Thrown into this magical world are characters like Zar, Morkin, and Largalarg. Zar is easily the least magical major character in The Son of Dark. He’s a pirate turned merchant, and his most valuable asset in a fight against magic is his quick decision-making. 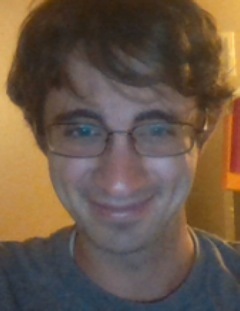 He takes in a situation quickly and determines the best, most logical course. Before swords are drawn and spells are spoken, he has often already leveled the playing field by changing the environment to his advantage. Morkin quickly becomes Zar’s most trusted ally, in spite of a vague background and even vaguer motives. The idea behind Morkin has always been that of a man who has turned a disability into a weapon. He and his entire people are cursed with silence…they can neither hear nor be heard. This silence extends to all human noises, including footsteps, clapping, and breathing. As a result, Morkin has perfected a ninja-like regimen of skills. Largalarg, on the other hand, is a ten-foot-tall troll known as a Grag. Grags are known for making good non-magical mercenaries, and sure enough Largalarg serves as Zar’s personal bodyguard. His weapon of choice is a ball and chain, and his superior size and strength makes this a formidable choice indeed. Though impractical on a medieval battlefield, I figured that in a one-on-ten fight, wielded by a behemoth like Largalarg, a cannonball on a length of chain would be a sensible option. Balancing the world so that characters like this could hold their own against magic-users was a personal goal of mine as a writer, as I hope I can demonstrate with the excerpt below.